Our 2,722-kg. 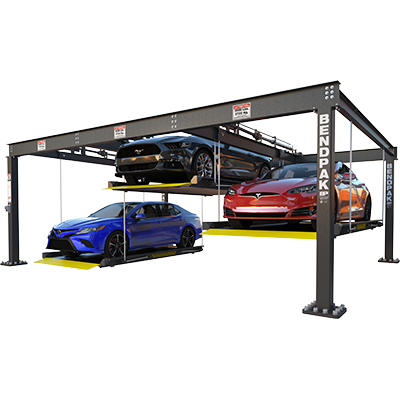 capacity, triple-wide parking lift turns a three-car garage into a six-car powerhouse without making your space look clunky or cluttered. No columns split between the lift decks, which makes this independent platform-style car hoist one of the slickest vehicle stackers money can buy.